My friend, Becky, wanted to make gift cards for her salon (Tula Organic) in the Squirrel Hill neighborhood of Pittsburgh. She was able to find some old folders and an old year book at the Pittsburgh Center for Creative Reuse. She was even able to find an old paper cutter for sale, too. She created the gift cards using pictures from the year book and the old folders. 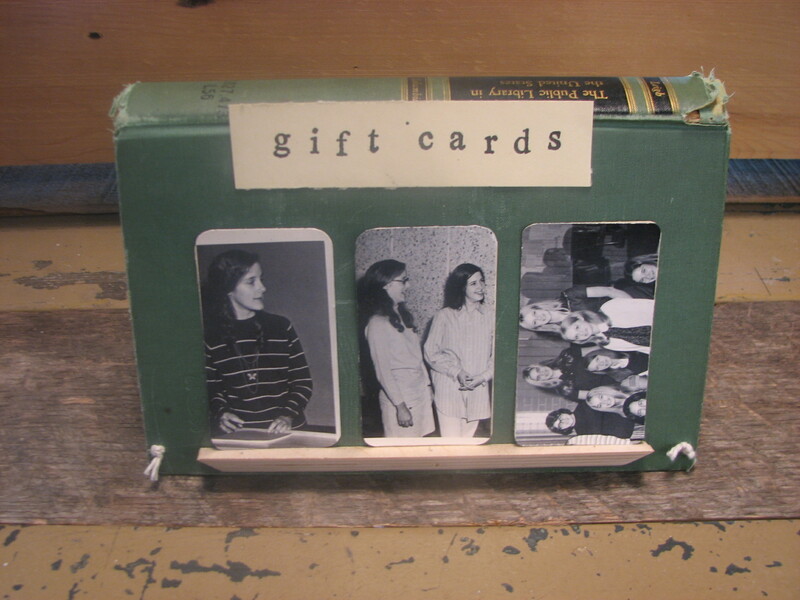 Becky also wanted to build a repurposed shelf to display the gift cards at the salon. I had an idea to make a simple shelf using an old book that was probably destined to be thrown away. I simply added a small piece of scrap wood to the book to create a shelf for several of the gift cards to rest upon. 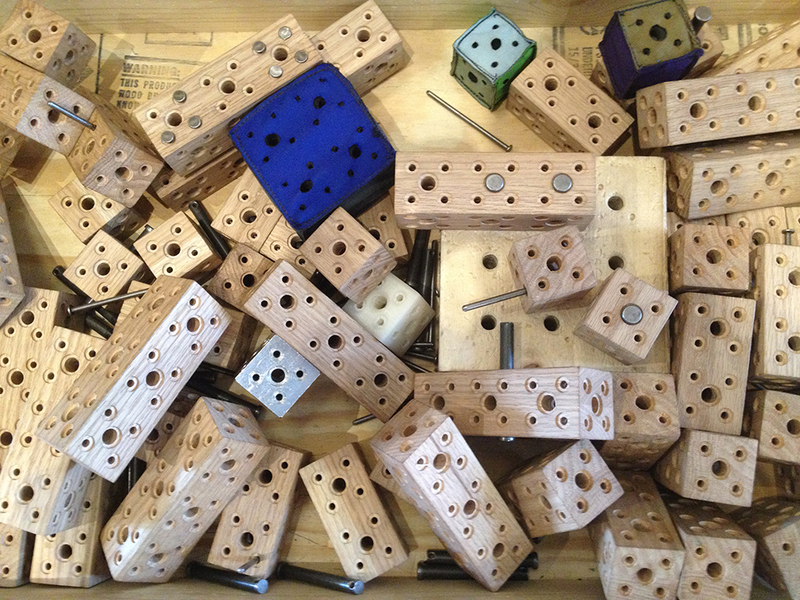 More pictures of this project can be found at Creative Reuse’s Facebook page. This was a great project to work on. It incorporated several repurposed treasures and brought together several Pittsburgh locales: the Museum, Tula Organic Salon and Spa, and the Pittsburgh Center for Creative Reuse.